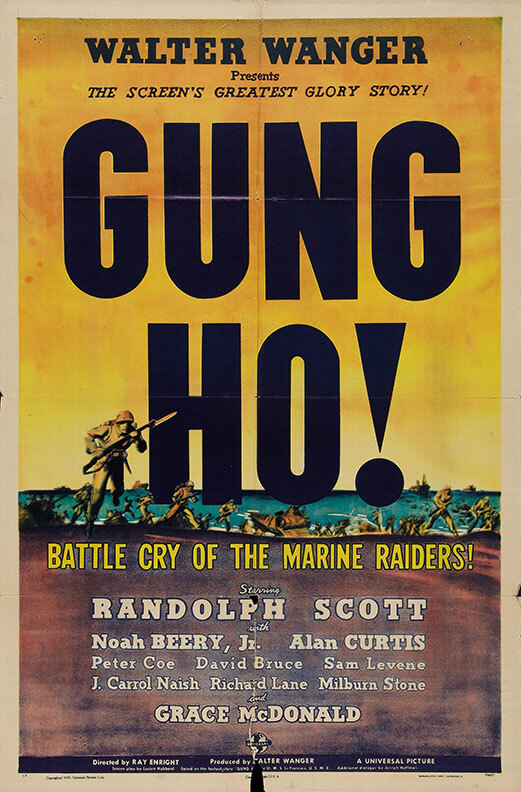 This week’s words are gung-ho, in a literal manner. They work together. They hold hands. How? It’ll become clear as the week progresses. Once you see it, what is the longest word chain you can make in this manner? Email it to us at words@wordsmith.org. adjective: Extremely eager and enthusiastic. From Chinese gonghe, an acronym from the Gongye Hezuoshe (Chinese Industrial Cooperative Society). The term gonghe was interpreted to mean “work together” and was introduced as a training slogan by US Marine Corps officer Evans Carlson (1896-1947). Earliest documented use: 1942. Mike Doherty; Spoils (book review); Maclean’s (Toronto, Canada); Apr 24, 2017. See more usage examples of gung ho in Vocabulary.com’s dictionary.